Chobe bull in Botswana (photo credit: ILRI/Saskia Hendrickx). 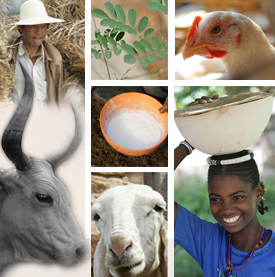 In Botswana, livestock production accounts for 80% of the agricultural sector’s output. A harsh climate and poor soils make most of the country unfavourable for crop farming. Beef export is the chief foreign earner at 57% and livestock production creates employment and is a source of food for rural populations. Sirak Bahta from the International Livestock Research Institute (ILRI) and Patrick Malope from Botswana Institute for Development Policy Analysis (BIDPA) conducted a study to measure competitiveness in smallholder livestock systems and emerging policy in Botswana. 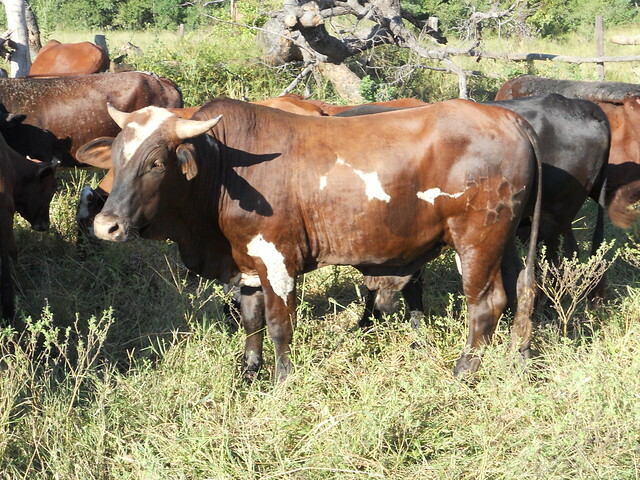 Their study, which is part of the Competitive Smallholder Livestock in Botswana project, was funded by the Australian Centre for International Agricultural Research (ACIAR) and implemented by ILRI and the Botswana Ministry of Agriculture’s Department of Agricultural Research. Livestock production in the country is done in both commercial and communal systems. In the communal/traditional system, animals graze in open rangelands with no defined property rights to grazing resources and with few fences, while under the commercial production system farms are fenced and owners’ have exclusive rights to grazing resources. Majority of the country’s livestock is done in communal systems (holding 88% of cattle and 98% of small stock (sheep and goats) in 2011), but commercial farms produce more than the communal system. Past studies on Botswana’s beef competitiveness omitted productivity and efficiency as measures of competitiveness at the farm level. For instance, a 2006 BIDPA study measured competitiveness at the macro level using trade-related data and aggregate production. But its trade-related indices failed to take into account productivity or efficiency at the farm level. This ILRI and BIDPA study tried to fill that gap by using the relative profit efficiency approach. A household survey approach was used to collect data in Chobe, Central and Southeast districts of Botswana. The survey assembled detailed information on costs and returns of livestock production encompassing different farm sizes across the selected districts. This information enabled the researchers to identify determinants of profitability, or profit efficiency and policy options to enhance competitiveness at farm level. Education level of the household head significantly affects farmer profit. Well-educated farmers are more efficient than those less educated. Farmers travelling long distances to markets to sell their animals are more efficient, this is because farmers hope to get better prices by accessing different markets. Farmers who own large numbers of cattle’s are more efficient than those with fewer due to higher gross profit margins they get with larger herds. Farmers who earn income from crop production are more efficient than those with none, because this income can be reinvested in livestock farming to increase production. Farmers who have access to agricultural information are more effective. This study identified education, distance to commonly-used markets, herd size, income from crop production and access to information as drivers of competitiveness (efficiency). It also showed that there is widespread profit inefficiency in livestock production in Botswana due to variability in farm practices. The study says farm profits can be improved by focusing policies on reducing input prices and encouraging beef farmers to engage in fodder production where possible. Tags: beef, livestock production, South Africa. Bookmark the permalink.